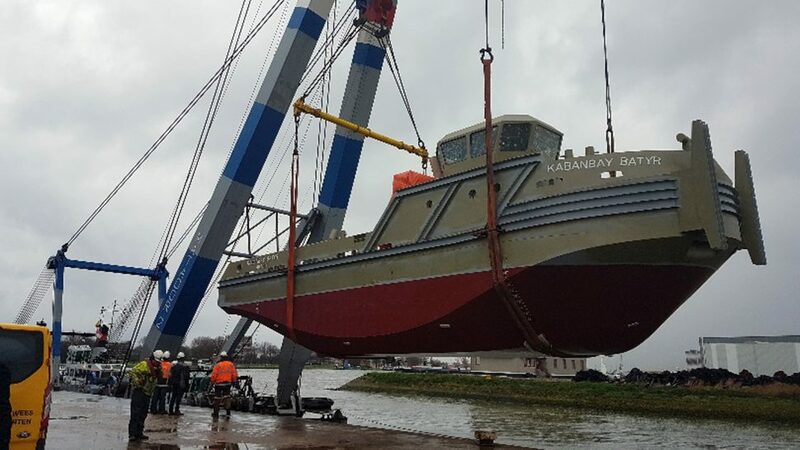 Rotterdam, 18/12/2017 – Today hull number 482 has been launched. This is the hull for the second vessel in a six-ship order from Caspian Offshore Constructions from Kazakhstan. The hull is now in Lobith where she will be installed and finished. With two hulls launched and the other four in advanced stage of construction, the project is well on its way. 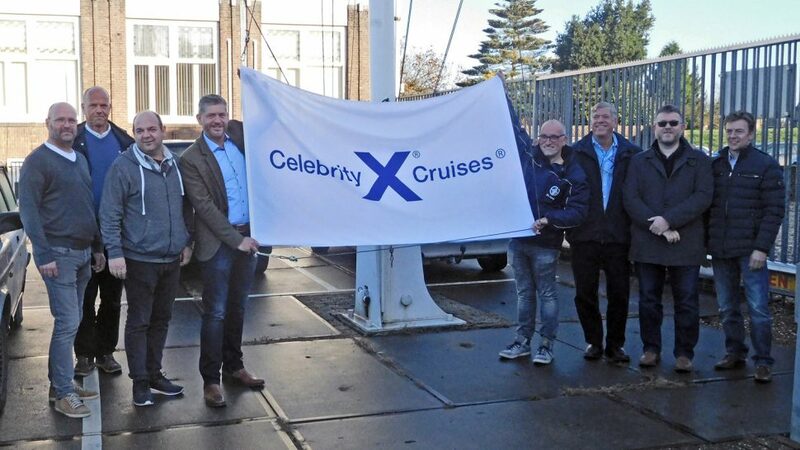 Tolkamer 13/12/2017 – This afternoon at 13 PM, the keel of our yard number 488 – the expedition cruise vessel ‘Celebrity Flora’ – has been placed on the slipway. The ceremonial keel laying was, as is the tradition, accompanied by placing some coins underneath the keel, this is done to bless the ship and as a symbol of good fortune. 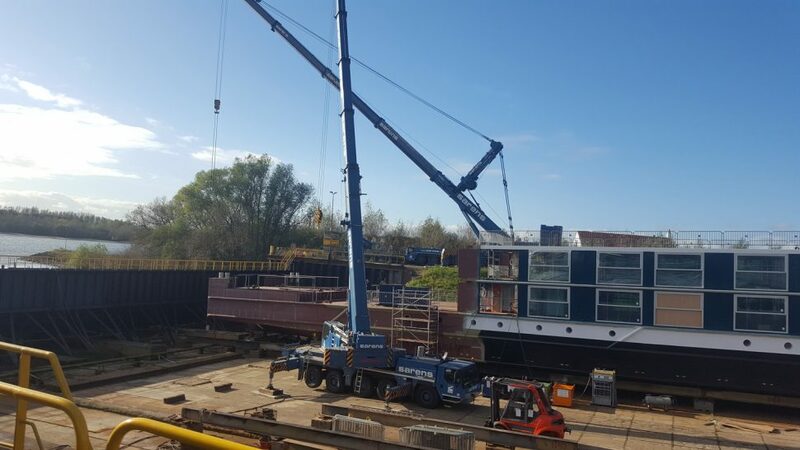 In the coming year the section blocks will be placed and assembled on our slipway thus realising the hull and making it ready for launching. We look forward to the exciting experience of seeing this vessel’s hull being realised on our yard’s slipway. 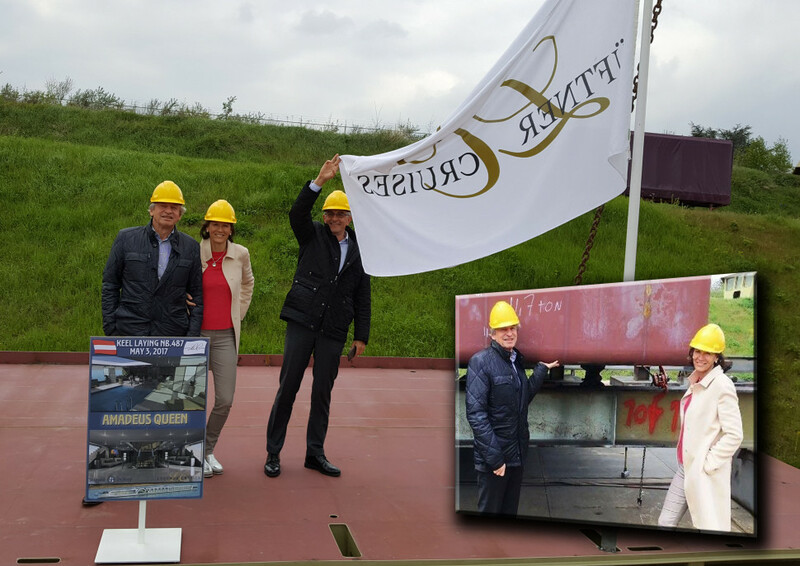 Rotterdam, 8/12/2017 – Today the hull for the first tugboat for Caspian Offshore Constructions, our yard number 481, was launched in Rotterdam at 11 AM. Briefly after this the hull was transported to the Lobith yard where the equipment, installations, fit out, interior, and finishing shall be done. 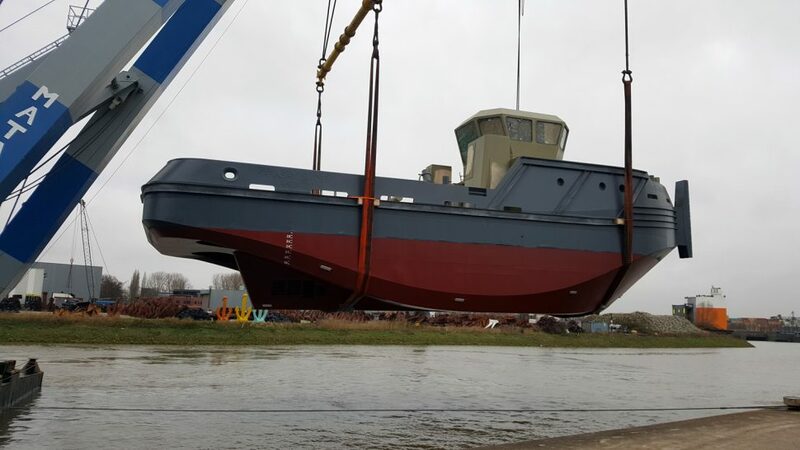 The second hull is scheduled to be launched within the next weeks. SHIPYARD DE HOOP IS PROUD TO ANNOUNCE A NEW ORDER. Tolkamer 30/10/2017 – Amadeus Queen reaches her full length by placing the engine room. 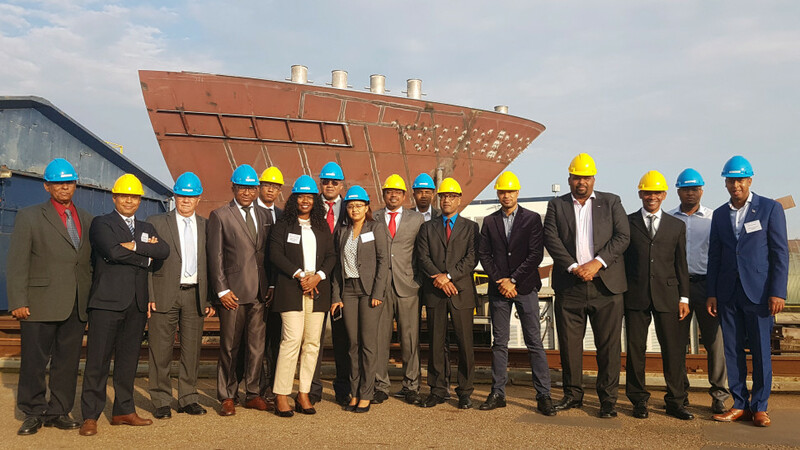 Tolkamer 26/09/2017 – Today a Cape Verdian delegation, with mayors from various islands, port authorities as well as chamber of commerce visited Shipyard De Hoop. Various presentations were held and we are proud to have been visited by such honored guests. 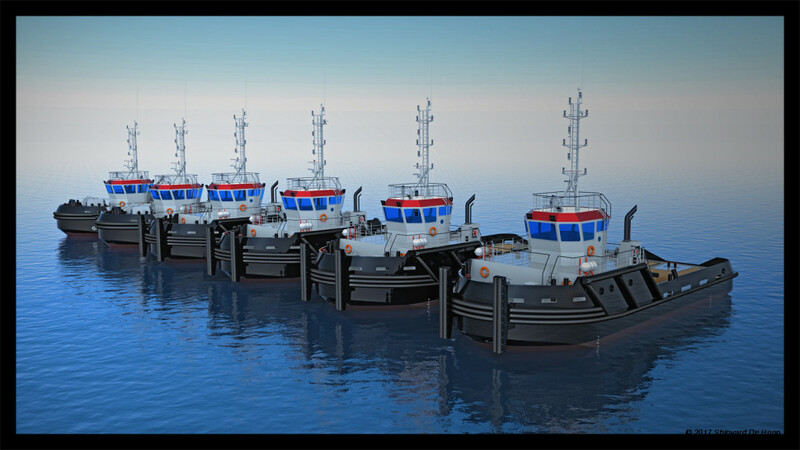 Tolkamer, Juli 2017 – Shipyard De Hoop is proud to announce the order for the build of 6 tugboats, for their client Caspian Offshore Constructions (COC). In an earlier stage De Hoop already received an engineering order to start the design. Now, the job will consist of building four Ice class Azimuth Stern Drive tug-push boats, each 39-ton bollard pull. Additionally, two shallow draft harbour tugs, each 30-ton bollard pull, were designed and shall be built. These six vessels are developed for Blue Water and COC consortium. The relation between COC and de Hoop dates back to 2006 and De Hoop is proud in the continuation of this relationship. 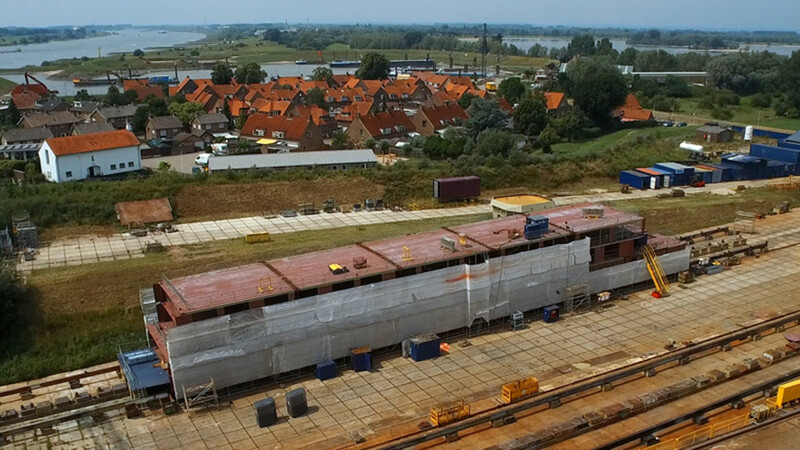 Tolkamer, 14/6/2017 – With over 50% of her section blocks assembled, the hull construction of the next vessel for Lüftner Cruises, is well on its way. The ship is being build under yard number 487 and will be an 135 design with very special features. 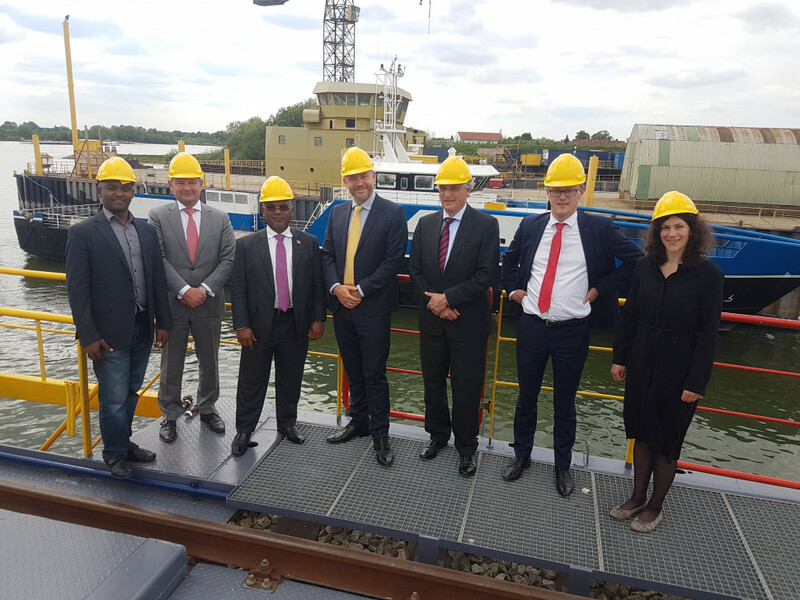 Tolkamer 16/05/2017 – Today a special visit was paid by the Minister of Transport and Communications from Mozambique, Mr Carlos Alberto Fortes Mesquita. The Minister is in the Netherlands as part of the official visit of the President of the Republic of Mozambique, at the invitation of the King Willem Alexander, which will take place starting tomorrow. De Hoop was proud to present the various new build projects it is currently involved in. Tolkamer 03/05/2017 – Today at 2 p.m., the first section of the 135 meter luxury new build passenger vessel ‘Amadeus Queen’ for the Austrian company Lüftner Cruises was placed on the slibway. 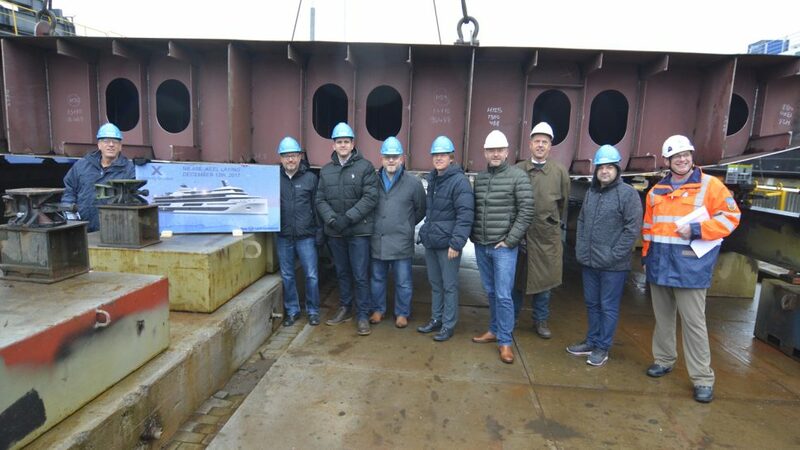 The Amadeus Queen is the 14th passenger vessel De Hoop Lobith is building for Lüftner Cruises.